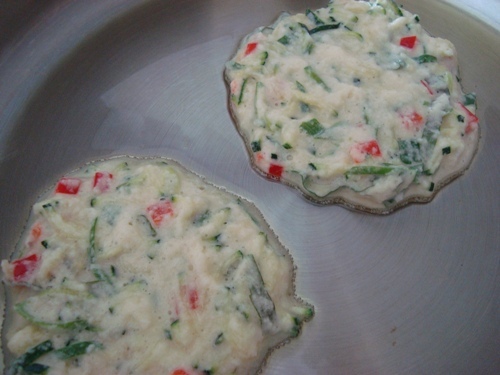 Korean pancakes, called bin dae duk, are unique in that they aren't made with flour. Traditionally, bin dae duk includes small amounts of pork, but on this particular day, we made this with nothing but hearty beans, fresh vegetables, and a small amount of rice. 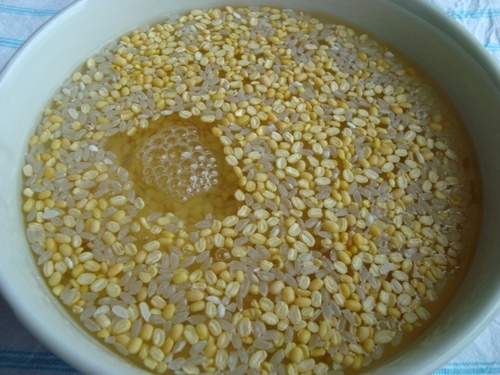 The base for traditional bin dae duk is about 2 cups of mung beans, which are readily available in Korean and Chinese food markets, usually labeled as "peeled split mung beans." 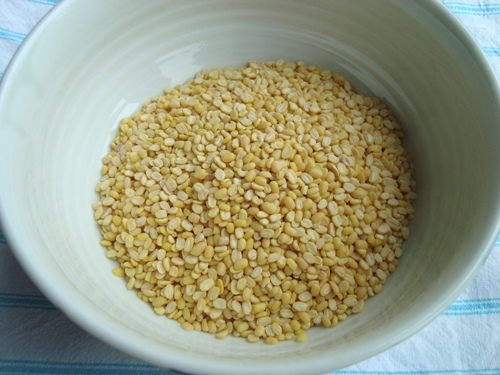 If you can't locate mung beans, then you can substitute with yellow lentils or even chickpeas. 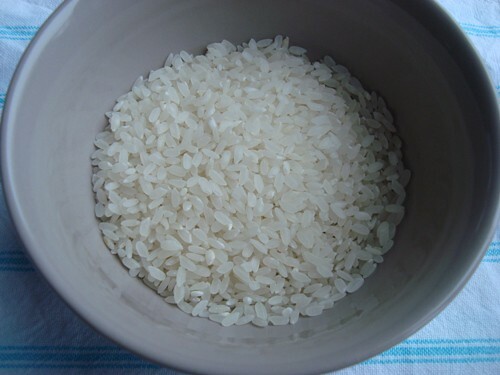 Measure out six tablespoons of calrose rice. You could try using a different variety of rice, such as basmati or sweet brown rice, but it's probably best to stick to traditional ingredients for your first go around with bin dae duk. Combine mung beans and rice. Next, add enough cold water to cover the beans and rice. Let this sit for about four hours. 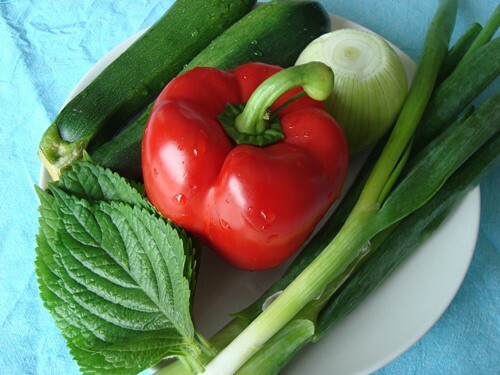 Now wash up two heads of zucchini, one red bell pepper, 3 spring onions, one yellow onion, and a handful of sesame leaves. Sesame leaves are super rich in calcium and other minerals that are good for healthy teeth and bones. They also bring a lovely fragrance to the table. If you don't have easy access to sesame leaves, you can substitute with a handful of fresh cilantro. 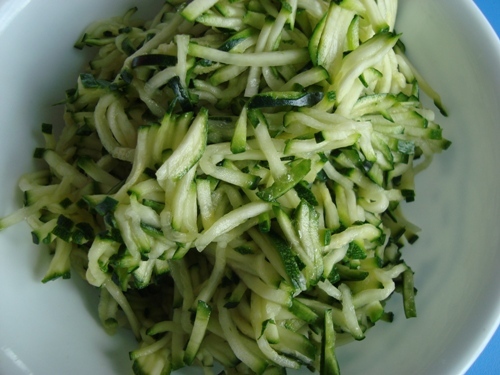 Use your best knife or mandolin to shred zucchini into thin strips. We use a simple Japanese Mandoline for all the vegetable shredding that goes on in our kitchen. 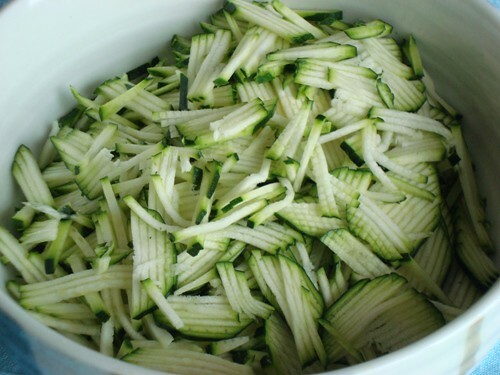 Right after shredding the zucchini, sprinkle a flat teaspoon of sea salt on the zucchini and give it a good toss. You want to let this sit for a good hour or so to draw moisture out of the zucchini. 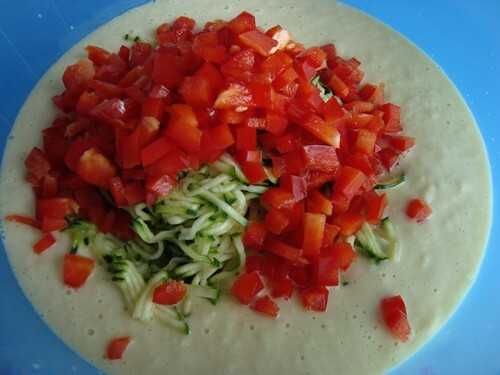 I know this seems like a lot of salt, but you're going to lose a lot of it a bit later, and any salt that remains on the zucchini will help season the pancakes. 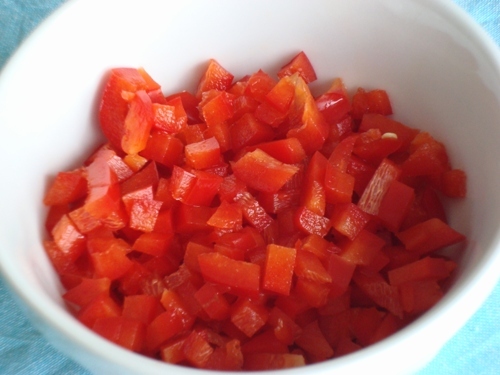 Next, finely chop your red bell pepper. 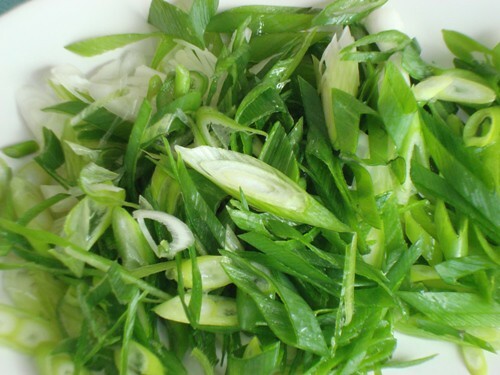 Remove the white flesh and seeds. Now slice up the sesame leaves or cilantro. Ditto the green onions. Slice the onions diagonally for a nice fit with the pancakes. And that's all for the vegetable prepping. 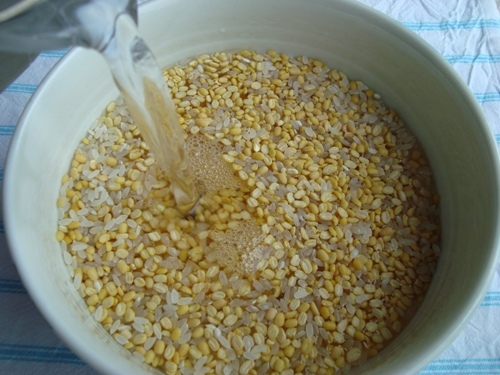 Once the mung beans and rice have finished soaking, strain and transfer the beans and rice to a strong blender. This is where having a Vita-Mix Blender or something similar really comes in handy. If you have to add more water to get things to blend, be sure to add just a tablespoon at a time to make sure that your batter doesn't end up too diluted. 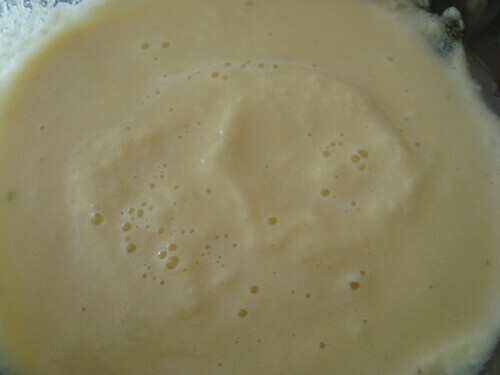 You want it to look like a relatively thick pancake batter. 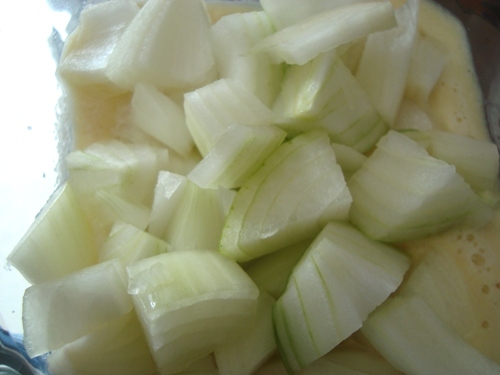 Now give the yellow onion a rough chop, add it to the batter, and give it another good blend until smooth. 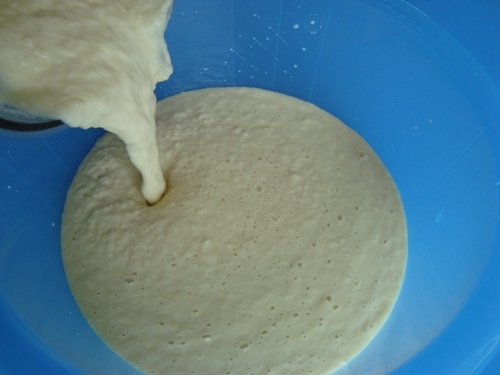 Now transfer batter to a large bowl, much larger than what will comfortably hold the batter, as you'll be adding a small mountain of vegetables. 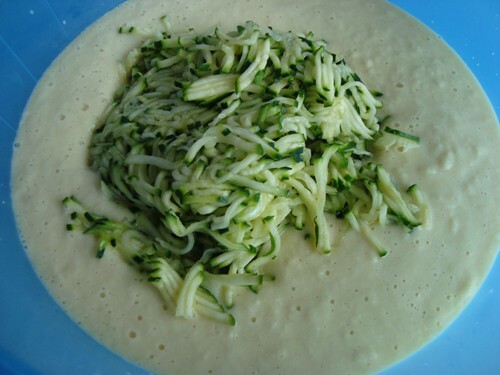 Transfer zucchini to the batter. Gently fold everything together with your most trusted wooden spoon. And that's that. You have your bin dae duk batter ready to go. 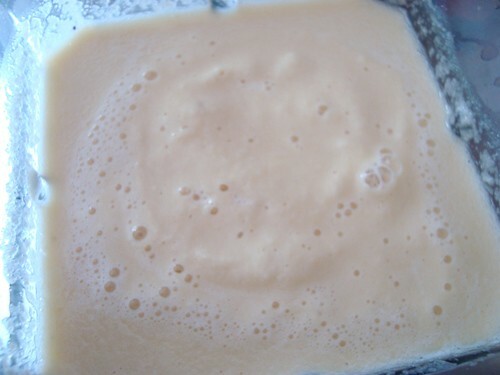 You can store this batter in an air-tight container for up to a few days. As an aside, if you want to add a little meat to your bin dae duk, you can fold about 3 ounces of raw ground chicken into your batter (evenly distributing it) just before you take your batter to a hot pan. Once you're ready to make bin dae duk that really should be eaten hot off the pan, heat a little olive or coconut oil over low to medium heat, then add generous pancake-size dollops of the batter to the pan. Once you see a bunch of bubbles rise to the surface of the pancakes, give them a flip and cook for another couple of minutes. You should use the underside of your spatula to press down on the cooking bin dae duk for at least a few seconds to make sure that the batter and vegetables cook right through. 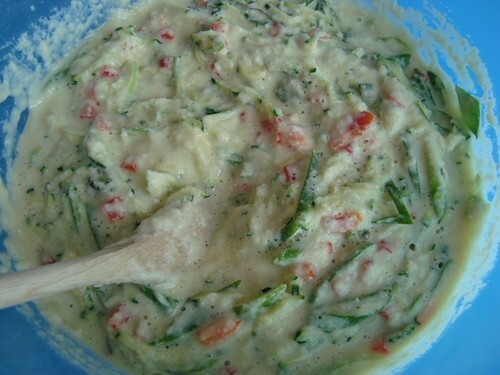 If you happen to have some kim chi in the refrigerator, you can always add some to the batter before cooking. 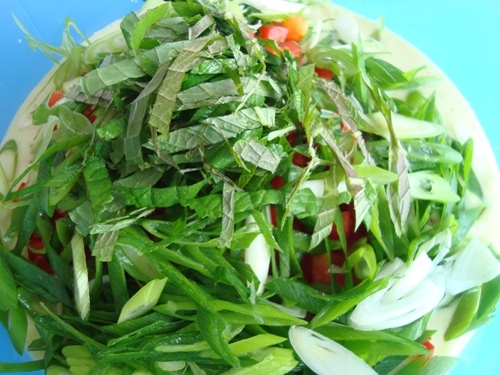 Traditional bin dae duk usually comes with kim chi, which adds another layer of mouthwatering flavor and texture. You can enjoy hot bin dae duk pancakes on their own, or if you'd like a dipping sauce, combine 2 parts soy sauce with 1 part sesame oil and 1/2 a part vinegar - be sure to whisk well with a fork or chopsticks before dipping. De-lish! 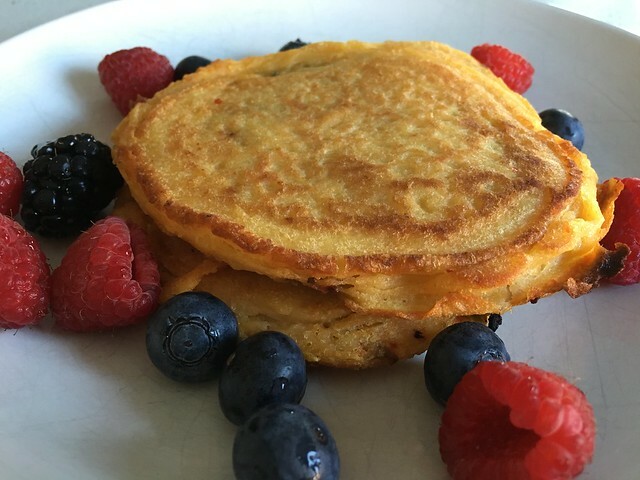 The ingredient quantities mentioned above produce enough bin dae duk pancakes to comfortably feed at least four adults. But not to worry if you're making these pancakes for one or two - you can always cook up the whole batch and re-heat leftovers later, or you can keep unused batter in the refrigerator and cook more as needed. I love seeing these pictorial recipe guides for classic Korean dishes. It really inspires me. I've had a Korean pancake like this only once but it was wonderful. They served some sort of soy-based sauce to drizzle on it - any idea what this is? Yes it's based on the soy sauce. But we Koreans add something more. These pancakes look so delicious. I l-o-v-e your mom's recipes. Thanks for sharing and thank her for me. These look so good! Thank you! Your Korean pancake recipe sounds super delicious! I have a question - are the mung beans and rice UNcooked or cooked before starting? While I haven't tried the Korean pancake yet (I can't wait to, tho), I'd like to take this opportunity to compliment you & your Ma on the clarity + good photography of your recipes. They are truly dummy-proof. While I'm here - this Korean pancake reminded me of a similar version traditional in India; it's called Idli and you ferment the split beans and the rice first. Then you steam the idli in a device called - wait for it - an Idli Maker. Also, in idli, you don't have all those vegetables but I would add them before the steaming. Thanks, Ben & Ma Kim. I can't wait to make this dish at home but i'm wondering if it is possible to post the dishes with a short form of the recipe as well. The pictures are lovely and really help me know what I should be doing but aren't as friendly for home printing. korean pancakes-its called dosai in india. its absolutely easy to prepare indian dosaiand i think it is delicious than korean pancake. it has a rich blend of energy. This recipe sounds delicious! I love seeing the pictorials but I would also like to have just the written recipe without photos for my recipe book. I don't know what to make of calrose rice. I'd never heard of it before, so I looked it up. 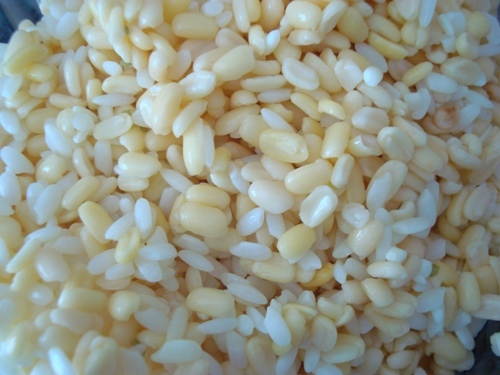 It is defined as a "radiation-bred" version of japonica rice. It is not clear to me just what this rice has been subjected to, however. Is it suitable for irradiation, but not necessarily irradiated? Or what? If it's just a radiation-induced mixing of the genes for the seed crop, that doesn't appeal to me, either. If the point is to have a sticky rice, I believe there's other options. I would just go to a health food store and ask for "glutinous rice". This is what I will do before I make the Korean pancakes. If I am not mistaken, I think Calrose rice is a brand of sticky white rice found at the Asian grocery store. 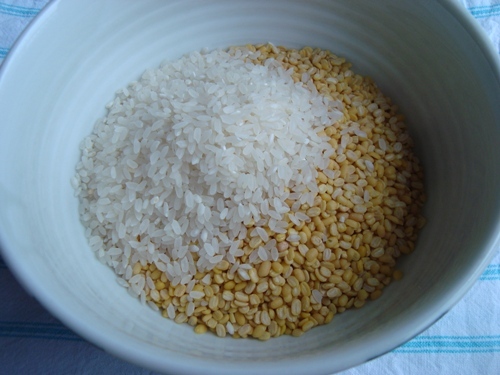 Yes, Koreans eat sticky rice for their meals and and sticky rice usually looks round(medium-grained).So go for medium-grained rice not long-grained rice.! I went to print it and 12 pages came up so I did not want to have 12 pages so it did not get printed. Is there a text only available? I do like the pictorial but after I have seen the picture I can be able to make it from the text version. I like your cooking isntruction with pictures, even close up pictures, for every step of the way. This simple, not expensive and healthy recipe is great !! I will definitely give it a try. 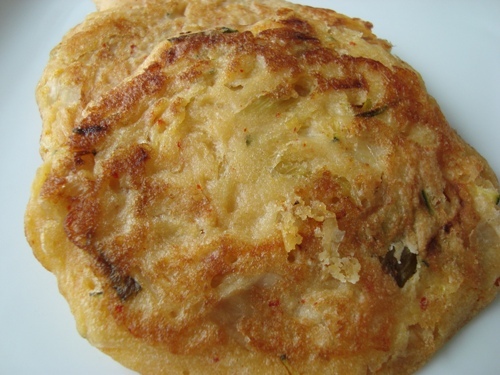 Maybe I will make this Korean Pancake as my weekend breakfast or a party dish. Yes, I would also like to have a print only version. Thoroughly enjoy and appreciate your site. A printable version of your recipes would be great and helpful. Thanks again. The recipe turned out great however why are the pictures of the mung beans yellow? The beans I picked up were green ( the outer hull I suppose ). Did you use something other than mung beans for the demonstration pictures. Thanks again for the great recipe. I tried it out on the family tonight and they said it was good too. 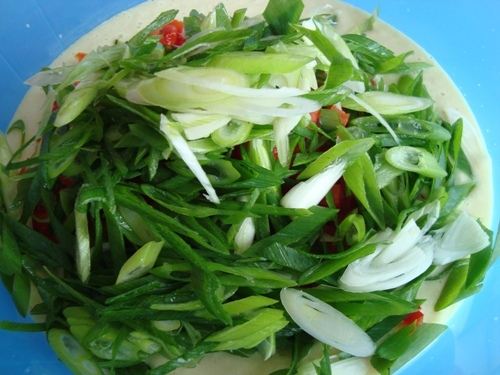 Kim, this pancake recipe uses mung beans where the green skins have been removed and then the little bean split. Inside the bean it is yellow. This is for faster cooking and perhaps better digestibility. Thanks for the recipe. The pancakes were delicious, the result just as you illustrate. Similar to my favorite Korean vegetarian restaurant's version. The dipping sauce is delicious too. Thanks again. I love the step by step instructions accompanied by beautiful photographs of your recipes. I grew up in a Korean home and your detailed instructions with the pictures are so helpful. 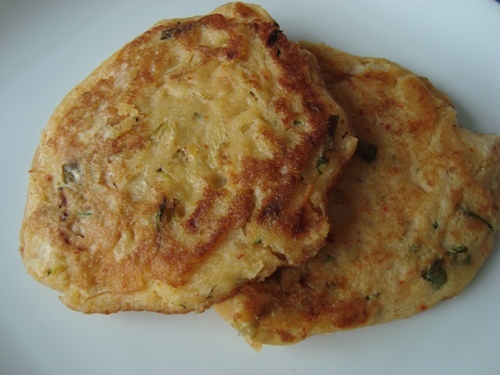 My mom made some bin dae duk (mung bean pancakes) for us the other day and she did not use any rice, which I think made the texture slightly crumbly. I did not care since they tasted so good. The other difference was she used the whole mung beans. The Cuisinart Food Processor or the Vita-Mixer Blender works great for grinding the skin so fine that you can not taste the feel the texture of the skin. Mom & I were both thinking that leaving the skin on would add to the nutrition value of the pancakes. I recommended your recipe to my friends who love Korean food and also to friends who are gluten and dairy intolerant. This is the perfect recipe for them. Healthy & Happy New Year to all. Is it possible to freeze the batter or cooked pancakes? We're trying to figure out how to serve these to a big group of family and friends without spending all of our time at the stove. And thank you for the clear, detailed instructions and photos for all your recipes. Every one I've made has been delicious. I feel it is an honor, and I thank you. My aunt makes huge batches of these and freezes them and hands them out in freezer bags as we need them. All you do is take a frozen pancake out ( or however many you want to eat) and put around 1 tbs of canola oil in a skillet and place the pancakes in the pan and reheat them until its hot all the way through and it's crispy again! Easy :). You can also defrost them first if you're in a hurry. I have made these Korean pancakes many many times. I love them more each time and my kids do too. Your site is so wonderful I want to thank you for all the recipes and information you provide. You are awesome! 1. 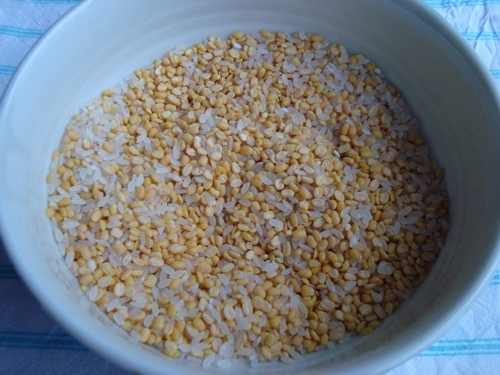 Can I used unsplit unpeeled mung beans? 2. Can I add garlic? And what about ginger or some fresh turmeric? How will that affect the flavor? Thanks so much for being such a great guide for me to good health! Wow, these are delicious! We made the suggested dipping sauce and liked that too. My first batch of kimchi is on the counter and we will try that variation later. Thank you. Oh my! These were to die for! Oh my! These were to die for! Absolutely delicious!!!!! Thank you for sharing such a wonderful recipe!!!!! These are delicious. I took your suggestion of adding kimchi. It turned out so good that I served it with more kimchi as a relish. Wonderful, and SO nutritious. Thank you for posting this. Your Korean Pancakes (Bin Dae Duk) were a big hit, even without sesame leaves, and with chives from my garden substituting for green onions. Nutritious, vegan, no wheat, no dairy. Thank you!! One question: the only mung beans I could find locally were whole, not split and skinned like yours. They were tiny and round, like BBS, as hard as gravel, and dark green. After four hours of soaking, you could still break your teeth trying to bite one in half. I didn't even try to finish the recipe that day. Anyway, they loved them, green or not. This is a "make again" in our house. Thanks for easy-to-follow recipes with helpful pictures! Thanks for this recipe, and for the others. Your pictures are really helpful (it was great to be able to reassure myself that the batter 'looked right' the first time I made these) and your instructions are easy to follow. I used to eat these as a kid but never knew how to make them, so I was excited to find your recipe. I've made them with lots of variations and they're always delicious - and I've passed on the recipe/site to lots of friends. Your tofu dipping sauce is another taste I'm happy to finally be able to recreate. Thanks, Dr. Ben! Intrigued by the ingredient 'sesame leaves' I did some research. 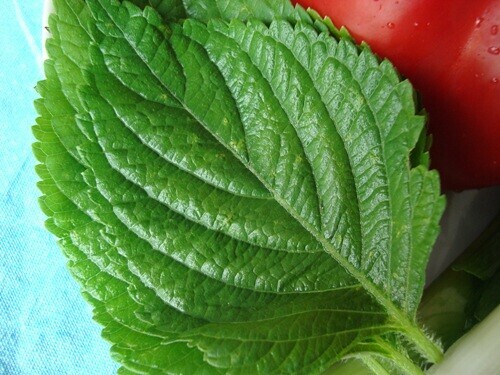 Apparently, in Korean cookbooks, what are often called sesame leaves are in fact perilla leaves. 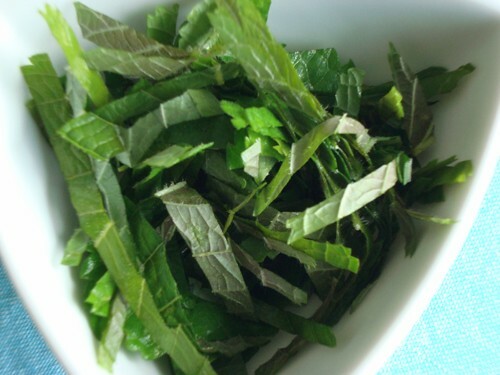 Indeed, the picture in the recipe above is of perilla leaves. I wonder if true sesame leaves are edible? Either way, the recipe looks like it's well worth trying. I have made these probably ten times now. My children enjoy them as much as my husband and me. Thank you so much. Looking forward to more recipes! Dr Kim, I don't use teflon pans, but I don't have much luck using my stainless steel or cast iron pan, in terms of, preventing the food from staying attached to the pan. What sort of pans do you use/recommend for 'easier' cooking. I prefer to stay away from aluminum and non-stick material like Teflon. We use stainless steel. I find it pour the batter into a pan that is pre-heated with cooking oil, and to leave it alone until enough of a crispy layer has formed to allow for easier scooping and flipping. Try to lift and flip too early is usually the issue.